The seaport city of Seattle is nestled between Puget Sound and Lake Washington. Populated by over 686,000 residents, Seattle is the largest city in the state of Washington. 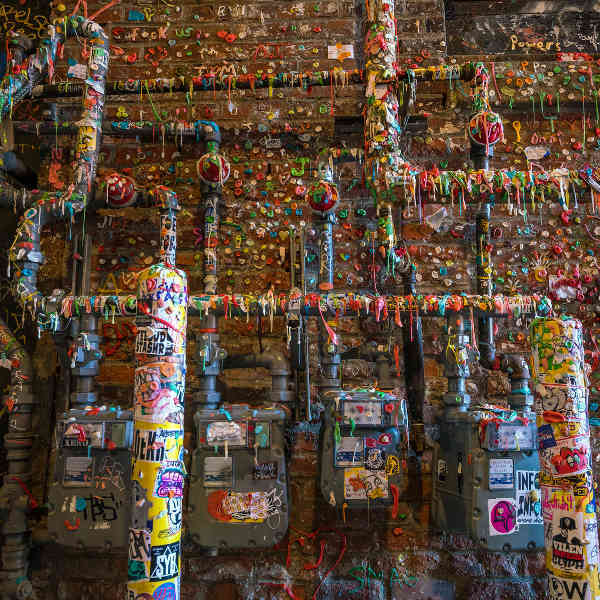 Previously home to a thriving shipping industry, Seattle is also the birthplace of grunge and jazz music. Popular attractions include the Space Needle, Pioneer Square and the Seattle Art Museum. Discover the intriguing history and charming atmosphere of the city with cheap flights to Seattle! Seattle is home to Seattle–Tacoma International Airport (SEA), a 20-minute drive from town. Take in the city’s history and modern accomplishments. From underground tours and boat trips, to Boeing tours and culinary excursions exploring the best of Seattle’s food scene, let the city take you on an adventure of discovery! Experience the Seattle of the 1800s with guided tours exploring the downtown areas, rich in architectural gems. Pioneer Square and Chinatown are just some of the neighbourhoods bursting with an eclectic medley of culture and heritage. Aside from Seattle’s creative savoury combinations, it is home to some top-notch museums and art galleries. Sprouting legends like Jimi Hendrix and Kurt Cobain, Seattle’s music and theatre scene is vibrant and innovative. The perfect time to visit ‘’The Emerald City” is during the lovely autumn months of September and October. The city is abuzz with sunny skies and exciting festivals, minus the summer crowds and exorbitant prices. Be sure to pack an umbrella and a few warm layers, just in case! Spring (March-May) is also a favourable time to take advantage of bargain accommodation; however, the icy Pacific winds and heavier rainfall may deter you from exploring the outdoors. Summer is the popular season, with throngs of visitors queueing up for the city’s attractions between June and August. If you’re a winter sport fan, Mount Rainier will delight you with its ski slopes between November and February, when there is a quiet lull over the city with fantastic hotel deals. Seattle’s laidback atmosphere and diverse culture are complemented by its flourishing arts scene, history, hub of activities and, no doubt… its exceptional coffee. Home of corporate giants like Boeing, Microsoft and Starbucks, Seattle is the cultural and business capital of the Pacific Northwest. Fondly nicknamed ‘’The Emerald City’’, Seattle is sprinkled with abundant evergreen trees and urban parks, most popularly Discovery Park. The ski slopes of majestic Mount Rainier are just a hop away for adventure-seekers. Other popular outdoor pursuits include hiking, cycling, paddle-boarding and kayaking. History-lovers must visit Pioneer Square – the historic heart of the city. Experience the Yukon gold rush and old city streets with Bill Speidel’s Underground Tour, while the Victorian buildings affirm the neighbourhood’s architectural character. The iconic Space Needle is adjacent to Chihuly Garden and Glass, boasting impressive glass-blown art pieces. Don’t miss the Olympic Sculpture Park filled with oversized artworks. 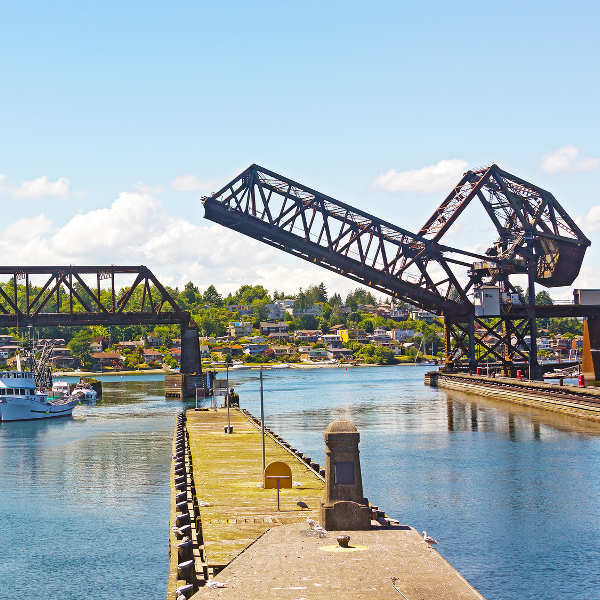 Maritime enthusiasts can observe the boat traffic and engineering at Ballard Locks. 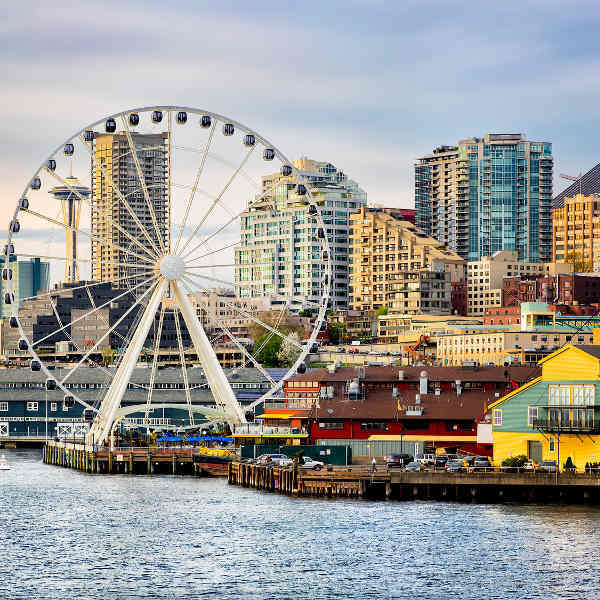 The Seattle waterfront is lined with a string of piers, the Seattle Aquarium and the Great Wheel, boasting fantastic views of the city. Grab a craft beer or signature coffee and peruse Pike Place Market for some fresh treats and novel souvenirs. Whether it's food, art, theatre or music, this multi-talented city is out to impress. Compare several airlines, and book your cheap flights to Seattle online at Travelstart! Seattle is a relatively safe city but, like all large cities, general awareness and safety precautions should be exercised at all times. Keep an eye out in the areas of University District, Lake City Way, and the stretch between Westlake Center and Pike Place Market, particularly at night. Despite a number of homeless people occupying certain neighbourhoods, visitors should feel perfectly safe and welcome in Seattle.